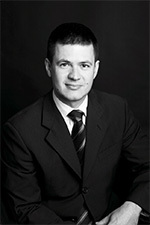 Dr John Trantalis is an orthopaedic surgeon specialising in shoulder and elbow surgery with an emphasis on advanced techniques in arthroscopic shoulder surgery. He obtained his Bachelor of Medicine, Surgery, and Science with Honours at the University of New South Wales in 1996, and gained Fellowship with the Royal Australasian College of Surgeons in 2006. He dedicated eighteen months to international fellowship training specifically in shoulder and elbow surgery. Dr Trantalis is an active participant in “Orthopaedic Outreach”, a recognised organisation committed to providing care to third world nations. He has recently visited The Solomon Islands as part of a team of volunteers (pictured) where he assessed and treated injuries and conditions effecting the local population.